Peek inside my bathroom cabinet and you’ll find a well-stocked supply of body lotions, perfumes and oils. Few things make me feel more feminine than a dab or two of something light and floral. Like many women, though, I tend to stick with old favorites rather then try something new. However, when Elizabeth Arden, the name behind past classics as Red Door and 5th Avenue, launched Untold, I was curious. For me the appeal of Untold is that the composition is sensual, while at the same time vibrant and exciting. In developing the fragrance, the perfumer masterfully blends the highest quality ingredients. The top notes are pink pepper, bergamot, pear and cassis; middle notes are Egyptian jasmine and gardenia; base notes are patchouli, amber and musk. While I love the scent, my 8-year-old is fascinated with the bottle, which is beautiful. Designed to embody the multi-faceted, versatile nature of the modern woman, its curvature makes the bottle appear different at every angle. 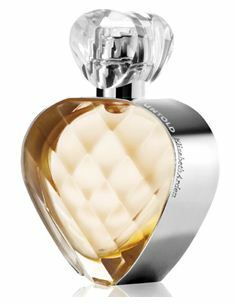 Untold is available at Elizabeth Arden counters nationwide and at www.ElizabethArden.com. It ranges in price between $49 for a 1.0 fl. oz bottle to $79 for 3.3 fl. oz.